These documents will help club coaches prepare for their season. They may also be a good resource for coaches completing their portfolios to work towards certification. All NCCP courses an individual has taken are tracked in an online database called The Locker. Anyone who has taken an NCCP course (in any sport) will have a profile on The Locker. If coaches need assistance finding their account number (CC #) or password, please contact the BCSSA Technical Director. All coaches are encouraged to continue their coaching education through a variety of avenues, including additional NCCP courses, speed skating specific courses and general sports-related courses. NCCP-certified coaches are required to do professional development to maintain their certification. 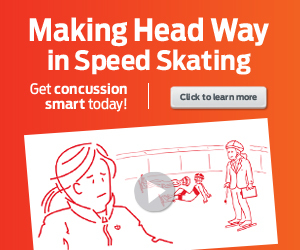 An example of an additional NCCP course includes Making Head Way in Speed Skating, a *FREE* online module about concussion recognition in speed skating.